This weekend is my birthday!! It's also my girlfriend's mother's 70th birthday, so I'm making the best of it and slipping in a couple track days at Summit Point Motorsports Park in West Virginia. 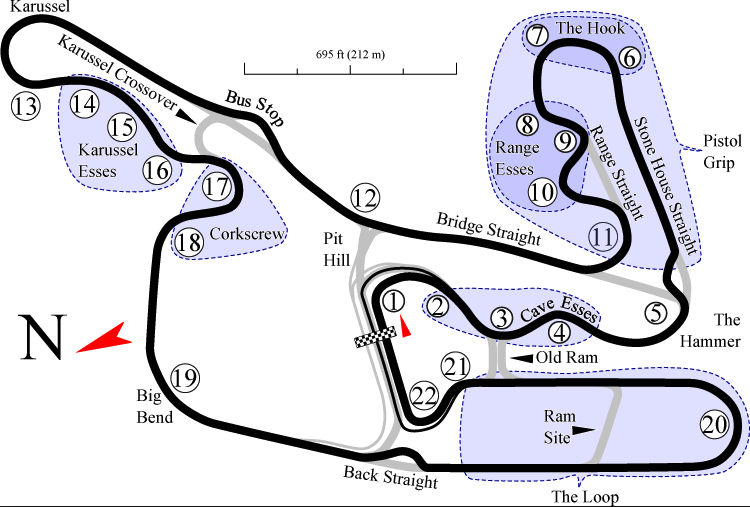 I've heard some amazing things about Summit Point Main (and some variable opinions on Shenandoah), but the motorsports park is a rather large complex housing four race circuits (Jefferson and Washington). My journey started picking up a UHaul in the Bronx, and picking up some of my girlfriends stuff to take back to her mom's house before she makes the big move to my apartment. My buddy Jerry had generously agreed to help me load, and I painfully navigated with an enclosed trailer through Manhattan. Once we were on the highway though, the truck worked great, and I was finally able to use the tow hitch I had installed last summer. and blew out a few birthday candles with my niece. We spent the night in PA, and made it down to Landsdowne, Virginia the following afternoon, celebrating both of our birthdays with a great dinner. But my present was going to be the next day. I woke up (I must say a little worse for the wear from my birthday evening the night before) about 5am, to be on the road by 6am to make tech inspection at 7 in Summit Point, West Virginia. I must have had a little bit of a lead foot already though, as I got pulled over on the way. The highway cop was nice though, and let me go after running my license. I had realized the day before that I had forgotten my Pittbull rear-stand, which is kind of necessary on this bike as it doesn't have a kickstand. 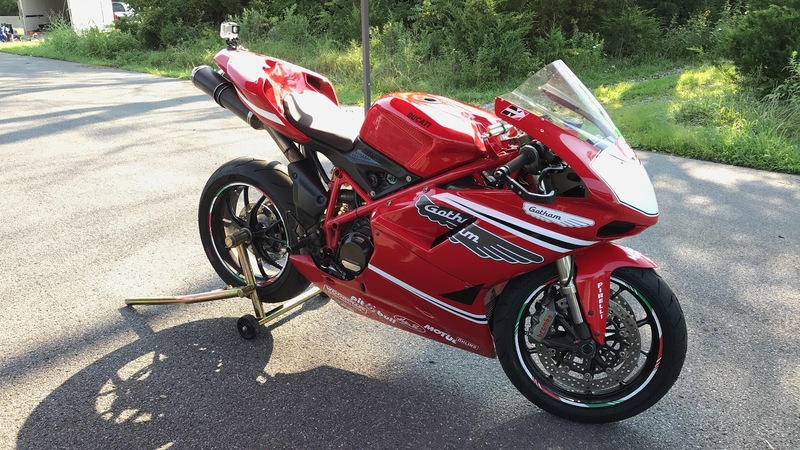 I spent the first hour after tech running around asking other Ducati owners if they had an extra mount. Luckily, a guy named Justin of Trackside Parts Club showed up, and saved me from spending the whole weekend propping my bike up against my truck by selling me a new Pitbull stand. First of all, the track itself is tiny, more of a Go-Kart track than a raceway- and is filled with non stop turns. There are no real straights, and I never managed to figure out the bowl (Karussel) the entire day. which is unnerving to say the least. Over the course of the day though, I started to master the circuit, and found I could build up a fair bit of steam coming into the Karussel, and along the back straight. and where which my girlfriend and her mom came and took some photos.